Lightweight class D heads have been around for a long time – much thanks to Walter Woods. WW was THE only game in town for quite a while, and he is till at it, making great amps for the bass community. Today there are many many choices in the Class D arena. 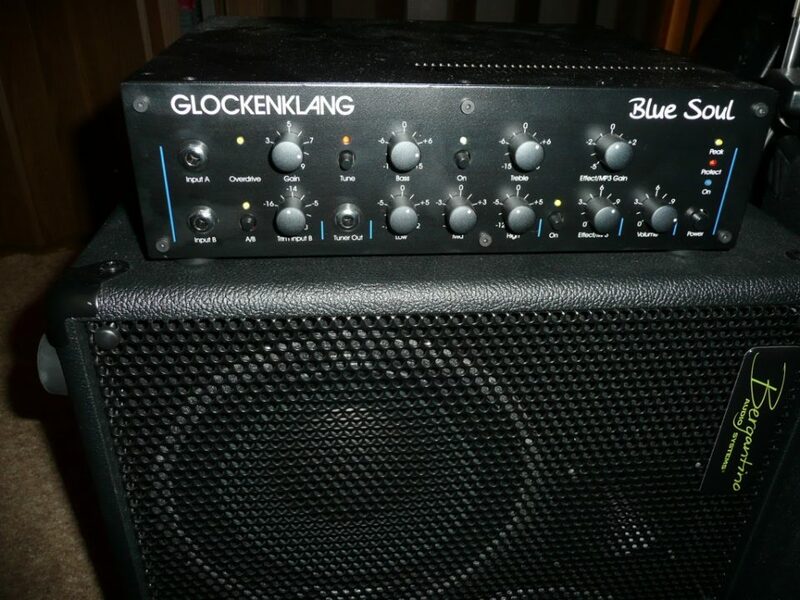 Glockenklang has been around for 25 years , making what I consider to be the best sounding amps I have heard. Fifteen years after getting my first Glock, the Bass Art , I still use that amp and cab to this day as my reference rig – they tell the truth about the bass and the layer , for better or worse. What took them so long to enter the “D” scene? They wanted to get it right rather than get it done quick. And right it is. Shop around, play and hear all the class Ds you can, and then check out the Blue Soul.